Bostridge has worked extensively as an operatic tenor, with appearances including Lysander ('A Midsummer Night's Dream') for Opera Australia at the Edinburgh Festival, Tamino and Jupiter (‘Semele’) for English National Opera and Quint ('The Turn of the Screw'), Don Ottavio and Caliban (Adès’s ‘The Tempest’) for the Royal Opera. He also sang Aschenbach (‘Death in Venice’) for English National Opera, also seen at the Monnaie, Brussels and in Luxembourg. He has also worked with world renowned orchestras such as the Berlin Philharmonic, Vienna Philharmonic, London Symphony and New York Philharmonic orchestras. In January 2010 he sang the world premiere of Henze’s “Opfergang” with the Accademia Santa Cecilia in Rome under Antonio Pappano and in March 2013 sang Stravinsky’s “Oedipus Rex” with Angelika Kirchschlager and H.K. Gruber in Manchester and Vienna. Future plans include the first performance in Moscow of ‘Death in Venice’ (conducted by Rozhdestvensky) and major Britten residencies in Carnegie Hall and London’s Barbican. 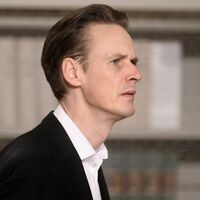 Ian Bostridge is also a well-established recording artist, and his recordings have won all the major international record prizes and has been nominated for 12 Grammys. Under his exclusive contract with EMI Classics, recordings include Schubert Lieder and Schumann Lieder (Gramophone Award 1998), English song and Henze Lieder with Julius Drake, Britten's 'Our Hunting Fathers' with Daniel Harding, Britten Orchestral cycles with the Berlin Philharmonic and Sir Simon Rattle, Handel Arias with Harry Bicket, Britten’s Canticles and both Britten’s ‘The Turn of the Screw’ (Gramophone Award, 2003) and ‘Billy Budd’ (Grammy Award, 2010), Adés’s ‘The Tempest’ (Gramophone Award 2010) and ‘Three Baroque Tenors’ with the English Concert and Bernard Labadie. Bostridge’s most recent recording for EMI is ‘Britten Songs’ featuring Antonio Pappano and Xuefei Yang, celebrating the hundredth anniversary of the composer’s birth. Matthäus-Passion, BWV 244, Erster Teil: 7. Evangelista, Judas "Da ging hin der Zwölfen einer"
Matthäus-Passion, BWV 244, Erster Teil: 4. (Evangelist und Chorus) "Da versammleten sich die Hohenpriester", usw. Matthäus-Passion, BWV 244, Zweiter Teil: 55. Evangelista "Und da sie ihn verspottet hatten"
Matthäus-Passion, BWV 244, Erster Teil: 28. Evangelista, Jesus "Und siehe, einer aus denen"
Matthäus-Passion, BWV 244, Zweiter Teil: 47. Evangelista, Pilatus "Der Landpfleger sagte"
Matthäus-Passion, BWV 244, Erster Teil: 9. (Evangelist und Chorus) "Aber am ersten Tag der süßen Brot"
Matthäus-Passion, BWV 244, Erster Teil: 18. Evangelista, Jesus "Da kam Jesus mit ihnen zu einem Hofe"
Matthäus-Passion, BWV 244, Erster Teil: 2. Evangelista, Jesus "Da Jesus diese Rede vollendet hatte"
Matthäus-Passion, BWV 244, Erster Teil: 24. Evangelista, Jesus "Und er kam zu seinen Jüngern"
Matthäus-Passion, BWV 244, Zweiter Teil: 43. Evangelista, Pilatus, Jesus "Sie hielten aber einen Rat"
Matthäus-Passion, BWV 244, Zweiter Teil: 50. (Evangelist und Chorus) "Sie schrieen aber noch mehr", usw. Matthäus-Passion, BWV 244, Erster Teil: 16. Evangelista, Petrus, Jesus "Petrus aber antwortete"
Matthäus-Passion, BWV 244, Zweiter Teil: 33. Evangelista, Testis I & II, Pontifex "Und wiewohl viel falsche Zeugen herzutraten"
Matthäus-Passion, BWV 244, Zweiter Teil: 31. Evangelista "Die aber Jesum gegriffen hatten"
Matthäus-Passion, BWV 244, Erster Teil: 11. Evangelista, Jesus, Judas "Er antwortete und sprach"
Matthäus-Passion, BWV 244, Zweiter Teil: 58. (Evangelist und Chorus) "Und da sie an die Stätte kamen", usw. Matthäus-Passion, BWV 244, Erster Teil: 14. Evangelista, Jesus "Und da sie den Lobgesang gesprochen hatten"
Finzi: Let us Garlands Bring, Op. 18: II. Who is Silvia? War Requiem, Op. 66: iii. Requiem Aeternam - "What passing-bells for these who die as cattle?" War Requiem, Op. 66: vi. Dies Irae - "Bugles sang, saddening the evening air"
2009 The copyright in this sound recording is owned by EMI Records Ltd.
2007 The copyright in this sound recording is owned by EMI Records Ltd.
2004 The copyright in this sound recording is owned by EMI Records Ltd.
2005 This compilation (P) 2005 by EMI Records Ltd.
Janacek: The Diary of One Who Disappeared, JW V/12: No. 1, Andante "Potkal jsem ciganku"
Janacek: The Diary of One Who Disappeared, JW V/12: No. 2, Con moto "Ta cerna ciganka"
Janacek: The Diary of One Who Disappeared, JW V/12: No. 3, Andante "Svatojanské musky"
Janacek: The Diary of One Who Disappeared, JW V/12: No. 4, Andante "Uz mladé vlastuvky"
Janacek: The Diary of One Who Disappeared, JW V/12: No. 7, Con moto "Ztratil jsem kolicek"